Bonus Essential Rewards exclusive: 5-ml Orange Vitality™ Hydration is especially important while on the road! Remember to drink up with help from Orange Vitality’s burst of flavor when added to water. Add some zest to road snacks! We love blending a drop into fresh fruit or yogurt. 15-ml Citronella Apply topically for a refreshing and uplifting aroma during your hike or picnic. Hotel doesn’t smell quite like home? Diffuse Citronella to freshen any room and eliminate odors. 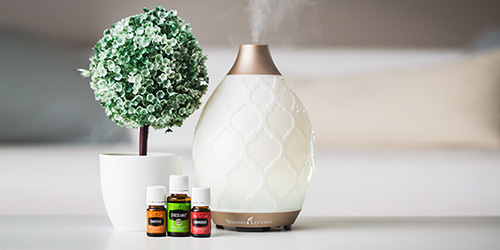 Bonus Essential Rewards exclusive: 15-ml Cypress Diffuse this warm, welcoming aroma at the cabin while your crew plays games or cuddles up in sleeping bags. Apply to your temples, nape, and chest to carry the grounding aroma with you when you head outside. 15-ml Lemongrass Use the USB Diffuser or Orb Diffuser™ to fill your car with a fresh, clean scent and purify the air on long road trips. Combine with a carrier oil and rub into tired toes and feet when you come back from a day of sightseeing. 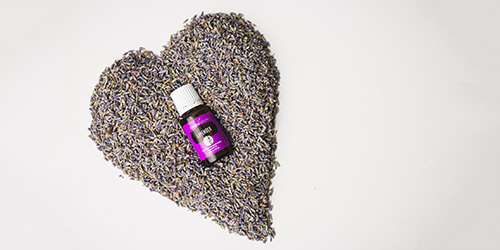 15-ml Lavender Make life on the road more like life at home by diffusing Lavender in your hotel or rubbing a couple drops onto pillowcases. Apply topically to soothe the skin after a sunny day on the trails or at the hotel pool. 15-ml M-Grain™ Massage into your neck and shoulders for a cooling sensation during a long layover at the airport. Rub a couple drops between your hands and give yourself an invigorating scalp massage after a steamy shower! 5-ml Roman Chamomile Unwind on nights away from home by using Roman Chamomile in a gentle bedtime massage. 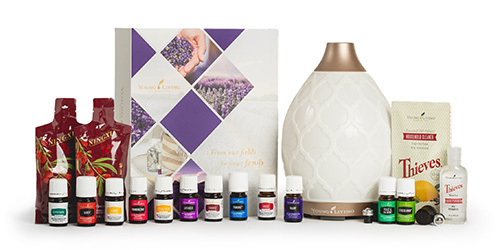 Diffuse the sweet, herbaceous aroma as you relax and unwind after a long day on the road.